In 1994, Bing’s Well Drilling, Inc. was established and served the residential and commercial community for many years. The Lord blessed C.W. and Leslie with a successful business which provided the freedom to be involved in foreign mission outreach. They were able to minister in such areas as Mexico, South America, and Africa. It was during C.W.’s work in Sudan repairing and drilling water wells that the Lord called him and Leslie to full time mission outreach in Africa. In October 2005, the Lord laid it upon their hearts to dissolve Bing’s Well Drilling, Inc. On December 30th, 2005, C.W. 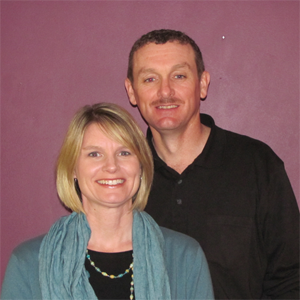 and Leslie officially closed their well drilling business in order to become full-time missionaries to Zambia, Africa. The Lord closed one door and opened another by leading them to establish a non-profit ministry, Water for the Oppressed, Inc. The ministry vision is to reach the people of Zambia with water for the body and “living water” for the spirit. We are now moving forward in ministering to the people of Zambia, Africa by drilling water wells and sharing the Gospel of Jesus Christ. Our 2011 Christmas Mission Project was to provide funding for Hand Pump Repairs. Check out the projects we helped.